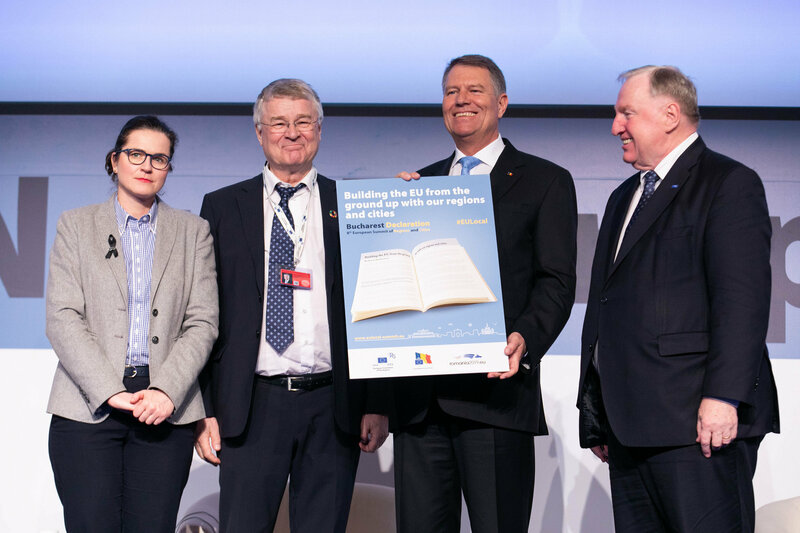 The Institute of the Regions of Europe is pleased to announce that at the board meeting on 13 February 2013, the enlargement of the board of the institute to four persons was decided. This paved the way for Prof. Dr. Josef Schöchl, who has been a member of the Board of Trustees of the Institute since 2016, to being admitted to the Board of Directors as a new member. Prof. Dr. Schöchl was born in Salzburg and studied veterinary medicine and political science between 1978 and 1985. In 1986 he promovated as Dr. med. vet. Until 1989 he worked as a practical veterinarian and official veterinarian at the Veterinary Office of the City of Salzburg. In 1990 he was appointed official veterinarian at the Office of the Salzburg Provincial Government and 1994 State Veterinary Director. He then became a veterinarian for food in 1995. Between 2004 and 2008 he was community party chairman in Eugendorf and 2004-2009 local council. 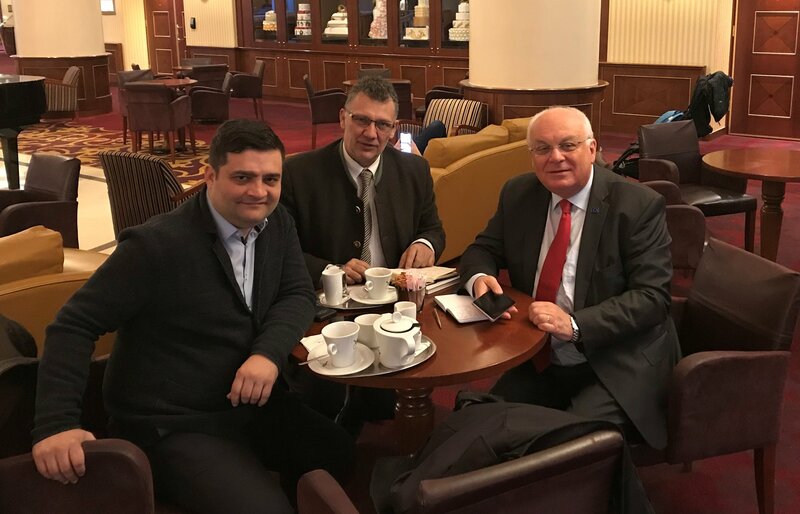 Between 2006 and 2008, he also held the function of Deputy District Party Chairman of the ÖVP Flachgau and was elected in 2008 to the district party chairman. Since 2009 Prof. Dr. Schöchl is Member of the Salzburg Parliament and in 2018 briefly held the post of President of the Landtag. 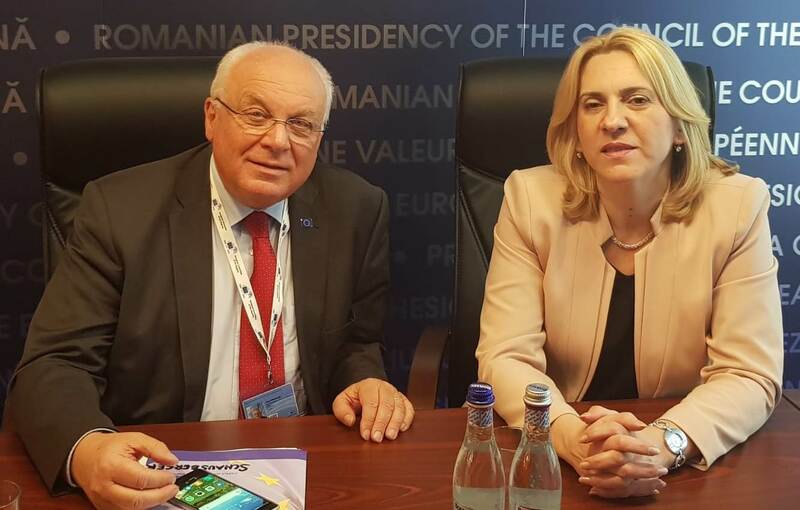 For an exchange of views on the current political situation in Bosnia-Herzegovina, Franz Schausberger met with the President of the Republika Srpska, Željka Cvijanović. Although more than five months have passed since the elections in early October 2018, no government has yet been formed at the state level. President Cvijanović was confident that the formation of the government in Bosnia-Herzegovina was well on its way. Difficult is the formation of a government in the BiH Federation and in some cantons. The Institute of the Regions of Europe (IRE) is pleased to announce the newest member of the IRE-network: Alba County. It is a district located in Central-Western Romania and is one of the 16 counties forming the Romanian Centru development region, the historical region of Transylvania. 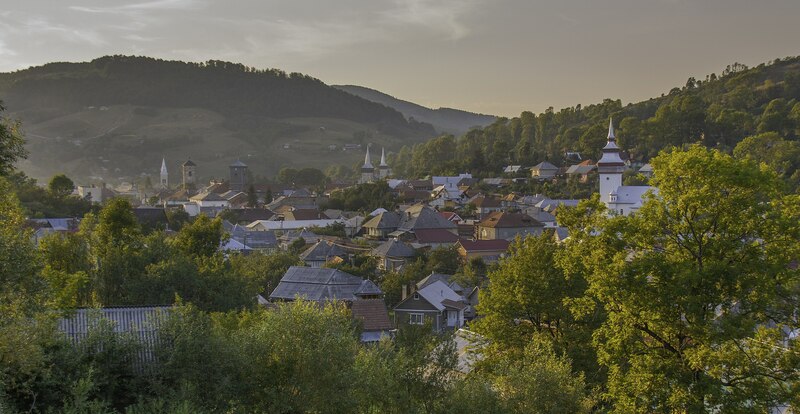 With its total area of 6,242 km², 59% of which is occupied by mountains, Alba County is one of the most historically significant areas of Transylvania and has always been at the heart of the regional, political, religious and cultural life of the region. Traces of human settlements in the region date back to the Neolithic period, where the intermontane valleys of the region hosted many communities. 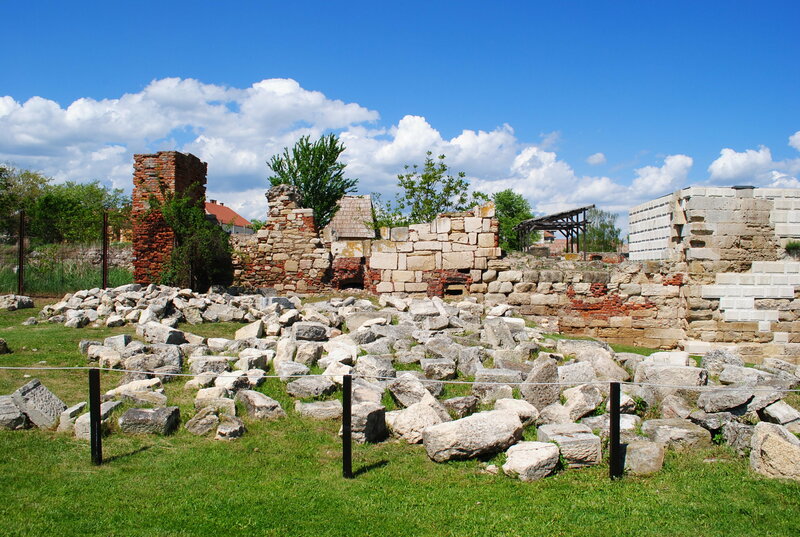 Signs of this are still visible today, as in the prestigious Roman archaeologic site of Alba Iulia. 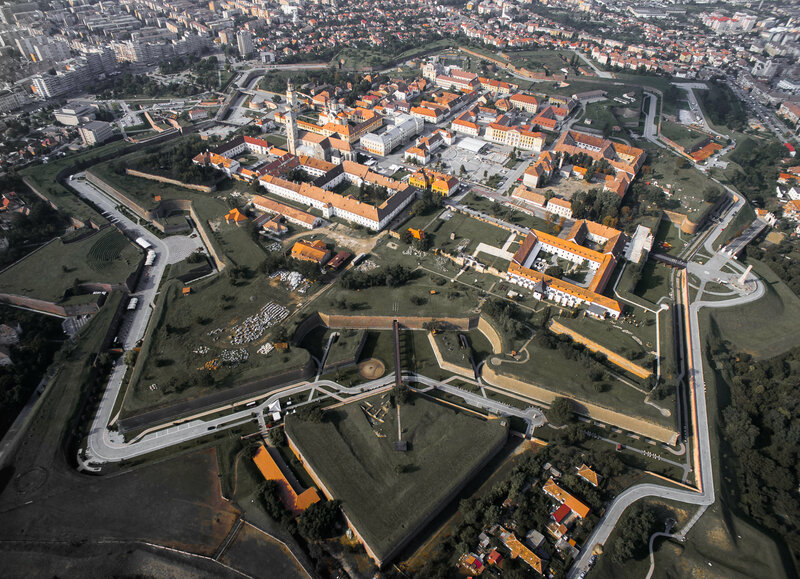 Thanks to its central position in Eastern Europe, the county played a crucial role, particularly in the 18th century, when the Alba Carolina citadel was reinforced and turned into the fortified city of Alba Iulia, dedicated to Emperor Charles VI of Habsburg. Alba Iulia is now capital of the Alba County, and with a population of 66.400 inhabitants, it is the 33rd most populous city in Romania. The strongest economic sectors in Alba County are the food industry (with corn growing in the south and wheat in the northern areas) and mineral ore mining. In particular, metals (gold, silver, copper and mercury), salt, marble and granite come from the region. Other important production areas are machinery, the textile and paper industry, and leather and wood production. On Sunday, March 10, were held the municipal council and mayoral elections for Salzburg. In the city of Salzburg, standing for election was the current mayor, Harald Preuner, as well as all of the members of the municipal council. Harald Preuner has served in the role of mayor since 2017. There was a low voter turnout of just 48%. The ÖVP, party of Mayor Preuner, won a large majority with 36,7% of the votes. With this percentage they doubled their seats in the municipal council, going from 8 seats to 16 seats. The SPÖ came in with just under 27%, causing them to lose four seats in the municipal council. 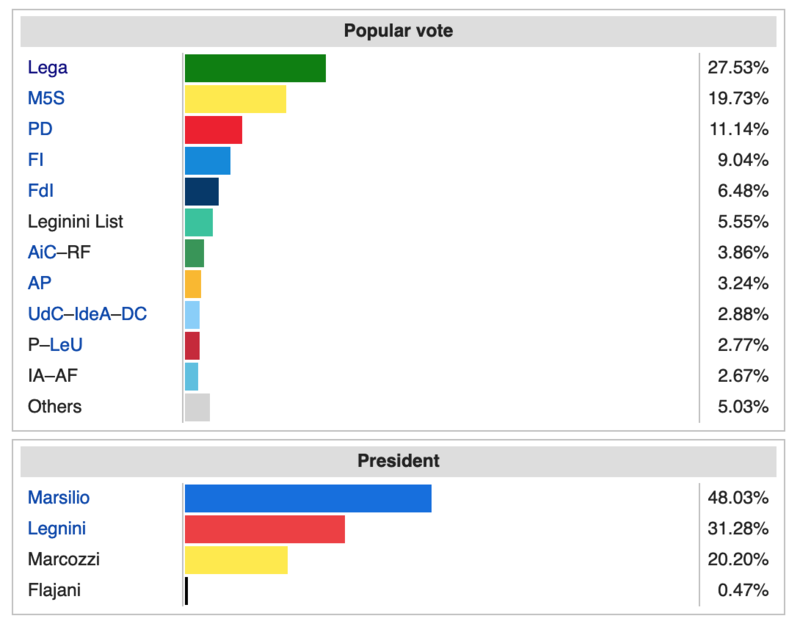 The Green party came in third place, with around 15% of the votes. The results of the election are significant. This is the first time since 1945 that the ÖVP is the strongest party in the municipal council of Salzburg. It is also the first time in several decades that the KPÖ has obtained a seat in the municipal council. 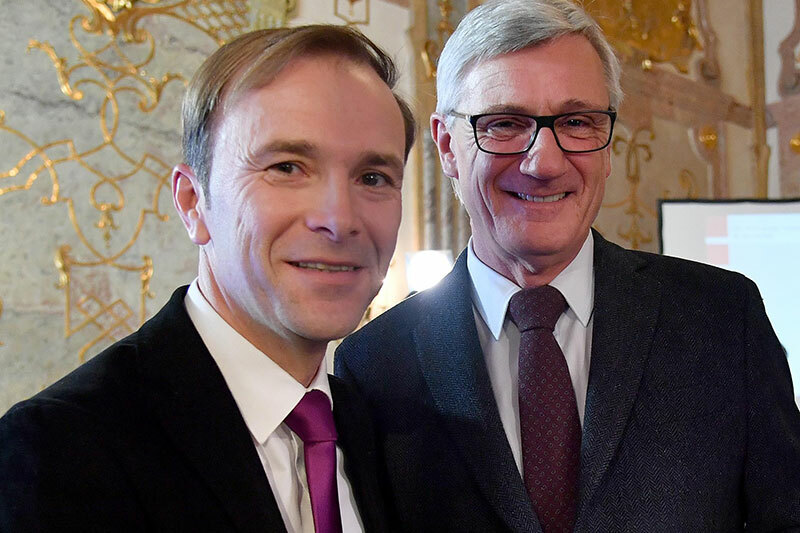 The mayoral race will continue in a runoff between Harald Preuner (ÖVP) and Bernhard Auinger (SPÖ) that will take place on March 24. They respectively obtained around 40% and 30% of the votes in the original election. Throughout much of the rest of the state the ÖVP gained as well. In 90 out of Salzburg’s 119 municipalities the ÖVP won the position of mayor. The SPÖ has 13 mayor positions. There will also be several runoff elections. In Lungau the ÖVP won several mayoral seats that had previously been held by the SPÖ. In Pongau an ÖVP mayor won in 18 of 25 municipalities. However, in Radstadt, an FPÖ mayor was elected, the first in Salzburg since 2004. In Straßwalchen in Flachgau there was a surprise. Although the current Mayor was ÖVP, the ÖVP did not make it into the mayoral runoff election. Also, in Nußdorf am Haunsberg, for the first time a woman has become mayor. In Pinzgau, in Zell am See, there is going to be a close runoff election between the SPÖ and the ÖVP, with each party winning around 40% of the vote this past Sunday. 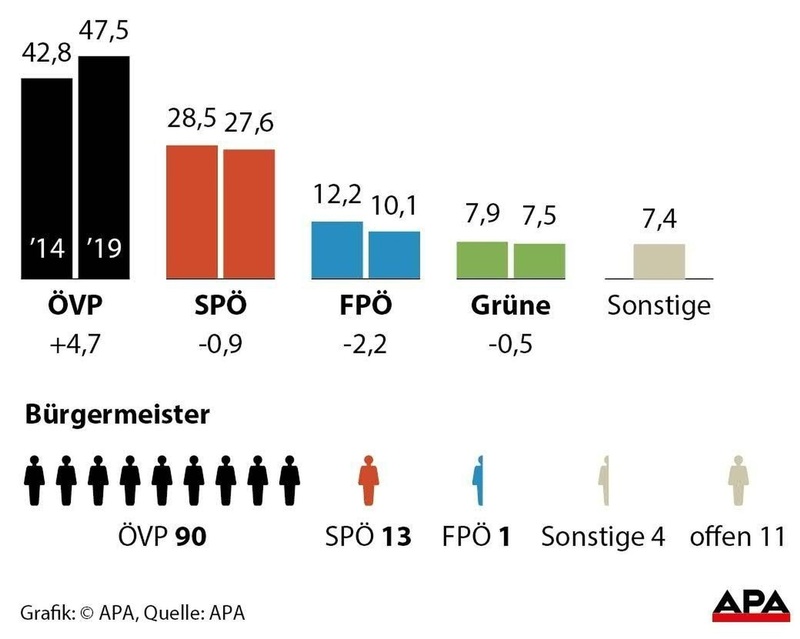 Although the ÖVP had the majority, they lost a bit on Sunday and the SPÖ gained. 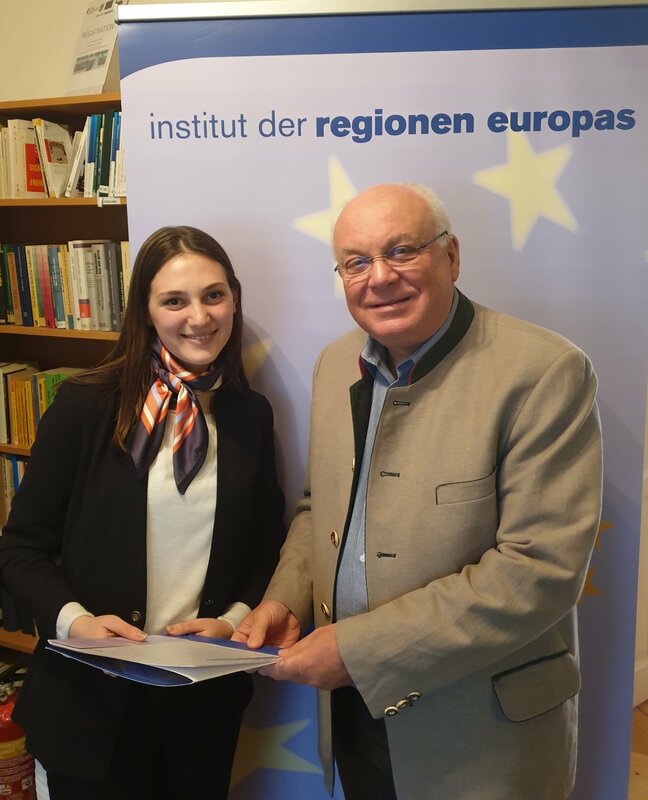 The Albanian student Vilma Beqa has successfully completed her internship at the IRE and, on Monday 11 March, has presented her research paper on the territorial administrative reforms and the new restructuring of the regions in Albania. We congratulate her for concluding the IRE internship programme and we wish her the best for her future! 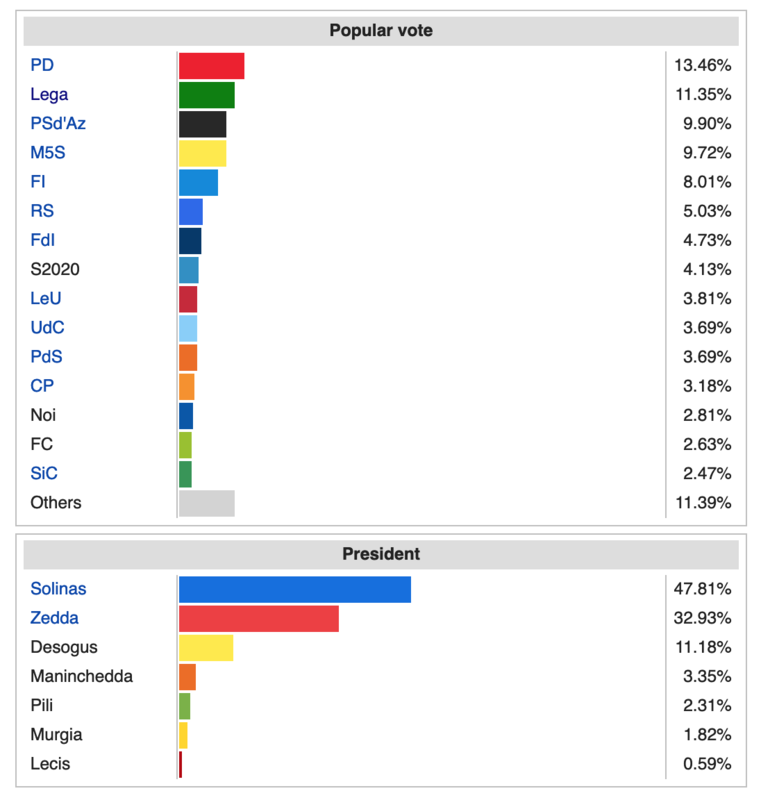 The Italian regional elections that took place in the regions of Abruzzo on 10 February 2019 and in Sardinia on 24 February 2019 confirm the rapid growth of the right-wing populist Lega party. The results of the two regional elections are not only an expression of regional political preferences, but also a reflection of the current political situation in Italy as a whole. In the 2018 national election, 32,7% of the Italians voted for the anti-establishment party Movimento Cinque Stelle and 17.4% voted for the right-wing Lega. Together they formed a government coalition. Since its founding in 1991, the Lega has been pursuing the independence of Northern Italy as its main objective. Only for the national elections last year, this goal was abandoned and the party was renamed from Lega Nord (in English: Northern League) to Lega. Since then, the popularity of the party among the voters in Italy is growing. 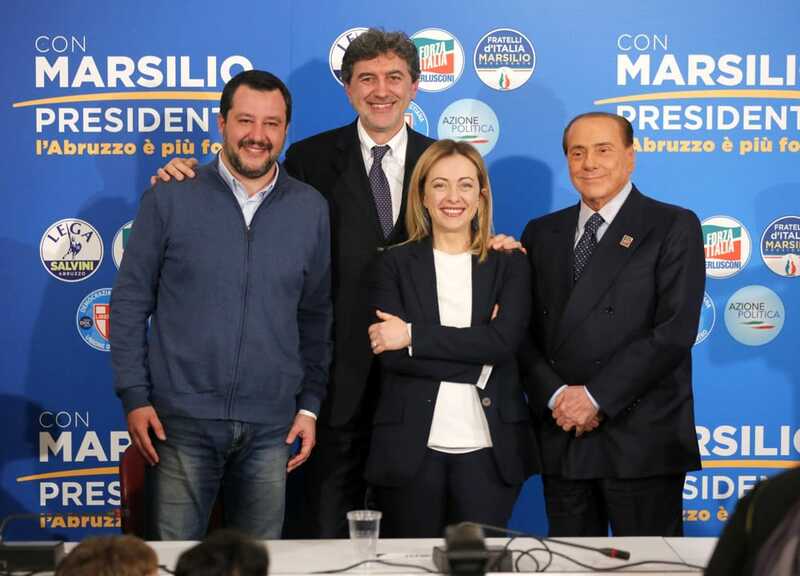 This is mainly due to party leader Matteo Salvini, who has also managed to gain support in the southern regions of Italy, where the Lega had never played a role due to their former secessionist stance. 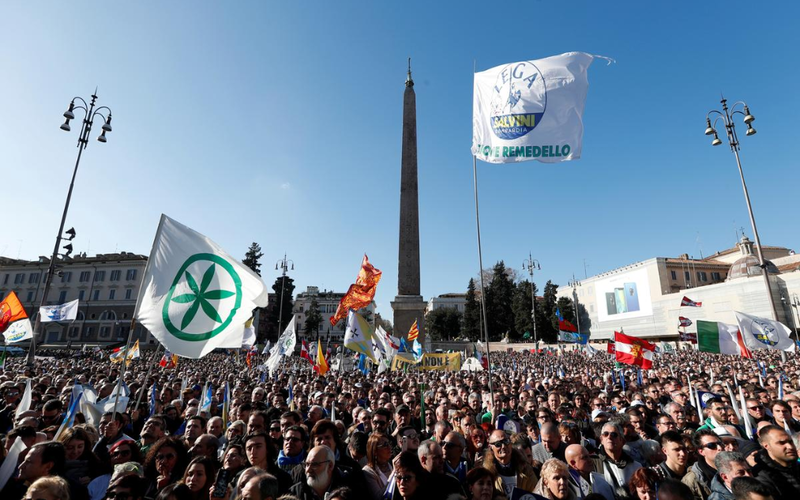 Supporters of the right-wing League party attend a rally in Rome, Italy, December 8, 2018. 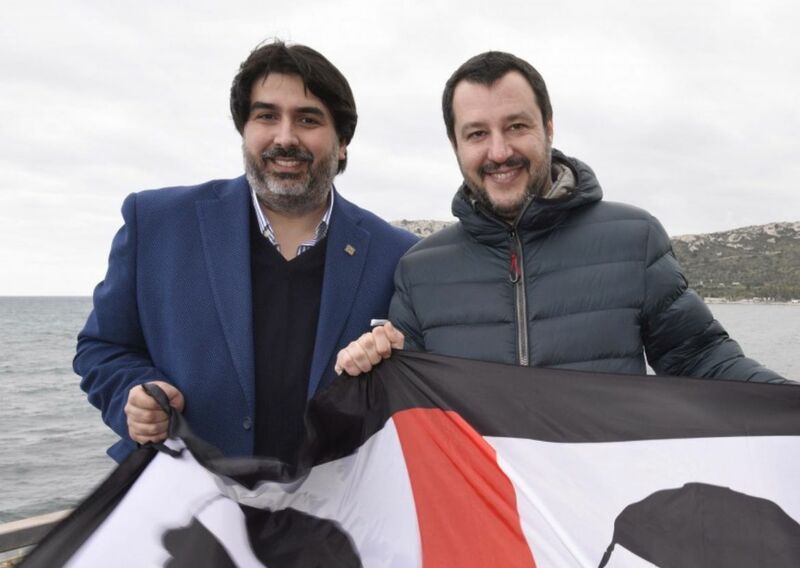 Salvini’s personal success is based on a very intense social media campaign, paired with his convincing ideas of “Italy first” and on the topics of national security and sovereignty from the EU. This has made him the ideological leader of the entire political centre-right spectrum in Italy, by what nowadays he plays a central role in the domestic political dynamics of the country, as the regional elections in Abruzzo and Sardinia show. In the context of the overall political Situation in Italy, the election of Marco Marsilio from the party Fratelli d’Italia at the regional election in Abruzzo on the 10th of February can be read as a real victory of the extreme right. Fratelli d’Italia is a small extreme-right party, which barely passed the electoral threshold of 3% at the parliamentary election of 2018, gaining 4,3% of votes, for a total number of 19 seats in the Italian Parliament. For this small party, having one of its politicians as President of the Region is an extraordinary success.Last month the Senator Marsilio, one of the main contributors of the development of this party, was elected new President of the Region Abruzzo with 48,03% of the votes, beating the opponent of the centre-left coalition, Giovanni Legnini (31,28%) and Sara Marcozzi of M5S (20,20%). With 6.44% of the vote, in this election Fratelli d’Italia doubled the result of 2.90% from five years ago. The candidate Marco Marsilio was chosen not only because of the preferences of his party, but mainly because of the support of a coalition with the Lega. In fact, the votes in the center-right list totaled 299,949, of which 165,008 (more than a half) were achieved by the Lega. In these regional elections this party alone received 27.53% of the total votes.